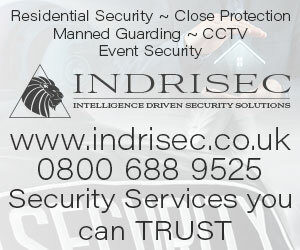 On our directory page you will find a clear and concise list of UK Security Companies providing 24hr Response/Key Holding, CCTV, Close Protection, Door Supervision, Residential Security, Security Dogs, Security Guards, Security Equipment,Surveillance & Investigations and Security Training Providers. We manually check all the websites added to our directory ensuring that all of the information here is kept relevant giving you, the user, the best experience we can. Simply select the desired location along with the security service you require and a list of security companies that provide that service will appear. Each listing contains contact information for that security company. Visit the directory to find your perfect security solution. Find A Company For You! The world we live in today is very different from past years. Security is becoming more important on a daily basis to more and more people looking to protect themselves, their homes, businesses and assets. This can be a daunting task for someone who has never had the need for a security service before, especially when there are so many security companies all offering different services. That's where The UK Security Directory can help. The UK Security Directory‘s aim is to be the leading resource both for people looking for security services and those looking to work in the industry. This site provides you with an easy to navigate, comprehensive list of services and the security companies that provide them. This site is developed by a security professional who is currently active within the Close Protection (Bodyguard) and Surveillance fields and was created after noticing the lack of a one stop directory for all security needs. This active role in the current security industry puts him in the best position to provide accurate and up-to-date information. Our Blog page will provide the latest news and articles related to security services and the industry within the UK. 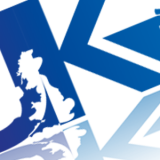 Most of the articles are written by Mike, the creator of the UK Security Directory but we also have guest articles written by professionals and industry experts on kit, equipment and literature reviews as well as guides on how you can enter the UK Security Industry as a Front-line Operator.